In the 20th century, social psychology took the ancient principles of rhetoric and proved them correct in controlled experiments. The work of Dr. Robert Cialdini in particular helped prove the power of authority, social proof, scarcity, and other fundamental aspects of influence. Roger Dooley is the author of Brainfluence: 100 Ways to Persuade and Convince Consumers with Neuromarketing. Today he joins us to reveal the keys to understanding what makes people choose and behave the way we do, along with some cutting edge thoughts about “tribal” marketing. Roger Dooley: I’m Roger Dooley. I’m an author. I write mainly about applying behavior science and neuroscience to marketing and business, and I am unemployable. Brian Clark: The ancient Greeks — notably Aristotle — used anecdotal observation to nail much of what we know about persuasion. The fundamentals of the art haven’t changed much in 2,300 years because human nature hasn’t changed, even as the context in which we operate has changed dramatically. I’m Brian Clark, and this is Unemployable. Thanks for tuning in. If you’re an iTunes user, I’d love to get your feedback in the form of a rating and review on the show page for Unemployable on iTunes. It helps a lot, and I appreciate you taking a moment. If you need to hop over there, you can use the link Unemployable.com/iTunes. Now, back to persuasion. In the 20th century, social psychology took the ancient principles of rhetoric and proved them correct in controlled experiments. The work of Dr. Robert Cialdini in particular helped prove the power of authority, social proof, scarcity, and the other fundamental aspects of influence. Now, we have neuroscience. Brain imaging allows us to go beyond observing human response alone and see which parts of the brain ‘light up’ while responding the way we do in certain situations. Roger Dooley is the author of Brainfluence: 100 Ways to Persuade and Convince Consumers with Neuromarketing. Today he joins us to reveal the keys to understanding what makes people choose and behave the way we do, along with some cutting-edge thoughts about ‘tribal’ marketing. Roger, how have you been? Roger Dooley: Doing great, Brian. Brian Clark: Yeah. I don’t remember the last time we saw each other, but I do remember that you were there at my last South by Southwest. Remember, we were stuck in that green room forever, and then we were transported to where we were actually speaking. That’s the moment I knew that South By Southwest Interactive had gotten too big. Roger Dooley: Yeah, that was fun. That was as fun panel. We had Derek Halpern on it. A.K. Pradeep, too, I think. Roger Dooley: That was a great panel. That might’ve been the last time we saw each other. It might’ve been the year after. I think you were here when Lake Travis was way down I think, and you could see all the mud flats leading up to the water’s edge. I think that might’ve been the year after, but I’m not sure. Brian Clark: Yeah. I also want to say, do you ever go to Content Marketing World? Roger Dooley: I do not. Brian Clark: Yeah. Okay. That would’ve been the one place we would’ve seen each other in the meantime. Anyway, we’ll make up for it. Roger Dooley: So many conferences, so few weeks. Brian Clark: I know, I know. But I do want to catch up because you’ve been doing interesting work. There are interesting developments in the realm of persuasion and its tie to neuroscience, which, of course, you specialize in. Before we get into that, though, let’s talk about Roger’s journey to this point. How did you decide to become an author? Starting somewhere after birth — we don’t have to go that far back. Roger Dooley: Right. Well, I guess I started off my career with the expectation of a traditional corporate career path. I graduated as an engineer, worked as an engineer for a while, and along the way picked up my business degree. I was fairly well-positioned for that corporate life, and I progressed and went into project management and product management. Finally, I was the director of strategic planning for a Fortune 1000 company. I decided at that moment to bail out and become an entrepreneur, which was really crazy because I finally hit the position — at a relatively young age, I was about 30 then — where I felt like, “Okay, this is really starting to work, finally,” and I chose that time to bail out. That was the early days of home computing, and I co-founded a catalog, a direct marketing business, to serve owners of home computers and did that for a good dozen years or so. That morphed into some other somewhat related businesses. I got into the digital marketing space, provided clients with SEO and other services for a while, did IT outsourcing. Along the way, I started a business called College Confidential, and it was serving college-bound students. The theory was that nobody, not that best guidance counselor in the world, could help every parent or every student answer every question they had. It became this giant community that ends up, and it’s still a very vibrant community, getting millions and millions and millions of page views per month. I sold that in ’08. Along the way, typically I tend to have more than one iron in the fire, Brian, probably like most of us do, and I had started a little blog about neuromarketing. After I sold the college business, I was able to devote more time to writing. The blog grew in popularity, and eventually, it led to a book contract with Wiley for my book Brainfluence. Since that time, I’ve been focused primarily on writing and speaking, doing a little bit less blog post writing these days and devoting a little bit more time to podcasting. It’s the kind of content that I really enjoy doing because you get to talk to interesting people. Brian Clark: Yeah, absolutely. A couple points you made there are recurring themes on this show. Number one is everyone thinks you’re crazy to leave the traditional until it works, right? Roger Dooley: I thought I was crazy, right. Brian Clark: We all think we’re crazy, but we don’t share that part — until in conversations like this. The other thing is, yes, always having some other iron in the fire. It’s rare that you have no idea what your next thing is unless you’ve just been absolutely head-down on a startup. Roger Dooley: It’s fun, though, too. When you’re an entrepreneur, you have the freedom to do that sort of thing. It’s a little bit tougher if you’re constrained by a corporate environment. Brian Clark: Oh yeah, absolutely. Let’s talk about neuromarketing, which is a nice put-together word that I’m fond of. I’ve said before that, from anecdotal observation, Aristotle nailed a lot of persuasion way back. Then a social scientist, Robert Cialdini, who’s probably the most prominent, proved those anecdotal observations through controlled experiments, and now, we get to see it happen in the brain thanks to neuroscience. It’s almost like we keep validating human nature and how it reacts to certain situations at an increasingly granular level. Roger Dooley: Yeah. It really comes down to the divide between reason and emotion. As you say, that can go back to Aristotle where you had this seven different factors that influenced human behavior. Oddly, people have known about this for a very long time. There was a great Disney cartoon — it was actually a propaganda piece in the time of World War II — that shows these two people in a guy’s brain. One is reason, and the other is emotion. Reason is represented by this guy that looks like an accountant in a suit, very button-down sort of guy. Then there’s a cave man who responds immediately to his base impulses for excitement — or he sees an attractive woman go by, and immediately, his attention is totally distracted. This isn’t something that’s new. They’ve been talking about this forever. Certainly the advertising greats understood that people don’t make decisions rationally all the time, but the trick has been, “How do we know what people are really thinking?” because there’s a huge market research industry — most of which has always been based on asking people what they want, what they’re going to do, what they think. In fact, in many cases, people are simply incapable of answering that — even the most straightforward questions. Look at how wrong political polling has been. That’s a very binary thing as opposed to asking about a future brand of automobile purchase. It’s a lot more nebulous than that. Brian Clark: Yeah. People will answer you. They’re just not correct. We all think, “Everyone else is irrational, but not me.” No, we all make decisions based on emotion. Then, often, we rationalize after the fact, but of course, it seems seamless to us. Roger Dooley: Right. It’s like when you purchase a car. First of all, if somebody asks you, “What’s important?” Well, reliability and resale value are really what’s important. Then you buy the red convertible that was clearly an emotional decision, but then your brain has to justify when your friends say, “Why’d you buy that car?” You sort of turn that into, “Well, I checked, and this model really holds its resale value well. It gets great gas mileage.” You come up with all these rational explanations for your emotional decision. In most cases, you’re not even aware that you’re rationalizing in that way. You really believe that these things are true. Brian Clark: Yeah, and I think there’s an issue here between those of us who study this stuff. Going back to my psychology degree and my sociology minor, which forced me to go to law school because, outside of what I ended up doing, it was kind of worthless. But it turned out to be a perfect education, actually, paired with the legal education. The power of scarcity is not really understood, I think, by people until you see it over and over again that some people will not act unless they are threatened with a loss. Talk a little bit about that. Do we know where scarcity fires in the brain? Roger Dooley: I don’t know that we’ve got it localized yet. In fact, most decision processes don’t just occur in one area of the brain. There’s a lot of stuff going on in different areas of the brain in both hemispheres. There’s not a scarcity button that you can push, but we do know that scarcity does work. That’s one of Cialdini’s classic six principles — which are now seven, as of his latest book. It can be invoked in many ways. One is a simple quantity-type thing where the classic scarcity experiment, 10 people evaluate cookies either from a jar with 10 cookies or a jar with two. Even though the cookies were totally identical, the subjects preferred the ones from the jar with two of the scarcer ones and thought they were better than the other ones. Then there’s the time-based scarcity that you alluded to, which is a pretty common aspect of most product launches where there’s a definite end time. Sometimes it can be very minimal little trigger. I saw the results of one test that showed simply adding a countdown timer for how long next-day shipping was available for a product, so not a really huge driver — like, “You’re not going to be able to buy this for another month, six months, or again.” It’s just a simple thing saying, “Hey, if you want this tomorrow, you’ve got three hours and 28 minutes left.” Even that little scarcity cue was enough to increase sales on that product page. Roger Dooley: Right. Well, I get everything. I get ‘brain influence.’ That’s pretty common. Brian Clark: I don’t know if that’s a Freudian slip on me. You were nice enough to mention me in the book, so maybe that’s what I was thinking of. I’d get cards from my grandmother that said ‘Dear Brain.’ It’s just one of those things you deal with, and now I just did the opposite. Roger Dooley: Right. My son’s name is Brian, and I used to get that all the time, too — ‘Dear Brain.’ Goes with the territory. Brian Clark: Let’s talk about some of the big insights that power the book. I know there’s a lot in there, and I think it’s required reading for anyone who deals with human beings — entrepreneur, coworker, what have you. Give us some of the things that maybe even surprised you in your research. Roger Dooley: Well, Brian, I think there’s one key concept that underlies the entire book, and that is that a massive amount of our decision-making processes are non-conscious. The number that I use in the book, and I continue to use when I’m talking to people, is 95 percent are non-conscious versus only five percent conscious. That number’s from Gerald Zaltman of Harvard. Nobody agrees entirely on what that number could be. I’ve seen numbers as high as 99.998 or something, and others where it’s not quite so high. But it’s safe to say most of what our brain is doing, we aren’t aware of. As a result, it makes our ability to predict our future behavior very difficult. It affects our ability to answer market research questions accurately, very difficult. Also, it means that if you, as a marketer, want to appeal to your customers, you probably want to do a lot of that on the non-conscious level rather than simply talking facts, figures, features, specifications, and so on. Brian Clark: Yeah, so the old benefits along with features. You sell with benefits. You justify with features. Roger Dooley: Right. I think even better, there’s sort of an in-between thing. They can be emotional benefits, or they could just be hard facts like, “You’re going to save 23 percent if you buy this product or something like that because it’s more energy efficient.” You still need those in your marketing. You need a few concrete benefits. As we were discussing just a moment ago, if your customer does make that emotional decision, their rational mind still needs something to hang onto, so they need to understand that, “Okay, yeah, this was rated number one by consumer reports,” or, “It will save me 23 percent on my energy costs in the course of the year,” and so on. Brian Clark: Yeah, absolutely. My favorite metaphor for this is the one where you have the normal-sized man representing the rational mind riding the unconscious, which is an elephant, and trying to steer it — and thinking you’re steering it, but you’re not. The elephant’s going wherever it wants to go. Brian Clark: The elephant is better because you can imagine the futility of trying to steer an elephant. Roger Dooley: There’s motion in that, yeah. Brian Clark: We both mentioned Cialdini, and he does have a new book out, which I haven’t got to read yet. You just did a great podcast with him. It’s interesting to me because I just did this free audio course teaching people who work with clients how to use email marketing to get more clients and better clients. I basically structured the entire thing around the six principles of influence, and I felt obliged to say, “Don’t sit here and say, ‘Oh, I’ve heard this before,’ and tune out. Unless you are hitting all of these elements of influence with your marketing — in a way wrapped in value, not manipulation — then you’re not doing it right.” I get that feeling that, “Oh, it’s these things again,” and yet, if you don’t really know how to tap into these things, you’re probably not being as effective as you could be. Roger Dooley: Right. I think it’s a fact that in the last, oh, maybe five years, some of these thoughts have really gotten more widespread exposure among the digital marketing community. I think five years ago there were not quite as many people who were familiar with Cialdini’s six principles. Now, we’ll all have to revise our slide decks because there’s seven. But you’re right. You don’t just have to know that, “Okay, scarcity is a driver,” or whatever, but you have to figure out how to incorporate it properly in your marketing appeal. Also, something that is really important that you can do in the digital world is to test. Rather than just saying, “Okay, I’m going to sit here, and I’m going to come up with the best use of social proof that I can possibly imagine,” and then sticking it in your ad, you really want to test this stuff. Even though each of these things has been shown to work time and again — and work in most cases — you never know whether it’s going to work in your particular case. Brian Clark: Yeah. That’s absolutely true. I remember I wrote 10, no, 11 years ago now, it was called Blog Triggers, and it was the six principles applied to blogging, which now we call content marketing. It was revelatory to people at the time if they had not, again, read the book and been trying to apply it in a business context, which I did with my previous three businesses. But you get better at it the more you understand who you’re talking to, which I think is key. That kind of ties into this new seventh principle here. I do want to talk this through with you seriously because I didn’t get to read the book yet, but it seems like I see overlap with this concept of unity. Talk a little bit about it. Roger Dooley: Yeah. Well, the seventh principle, Cialdini calls ‘unity,’ and it is a sense of oneness or shared identity with your persuasion target, with your customer. It could be a common ethnicity, for example, common allegiance, people who are supporters of your university, people who are from your hometown, or whatever. The more you can develop this sense of unity, the more persuasive you will be. It struck me that this was a little bit similar to what he called ‘liking,’ which is ways that you are like somebody else. The way that Cialdini distinguishes it in his words is that it’s not you are like me. It’s more like we are of the same tribe, or we have this shared identity. It’s a little bit deeper than liking. Liking can be superficial, although I do see the similarity. Brian Clark: Yeah, and I distinguish between the fact that attractive people are deemed to be more intelligent, which is completely monkey-brain stuff on our part, but to something bigger than that. When I heard ‘unity,’ I was like, “Okay, we’re talking primarily about Godin-esque tribes or also tapping into similar worldviews. For me, because I didn’t know that we had a seventh principle, because I didn’t read the book yet, I was combining aspects of liking and calling it ‘affinity,’ which is a broader concept than shallow liking. Now, I don’t have to do that because we’ve got a separate one. That carried over through the years into the great series of ads, the ‘I’m a Mac. I’m a PC’ ads — where, once again, there was this sense of very common identity that, “We’re the cool kids that use Macs, and it’s the nerdy fuddy-duddies that use PCs.” I’ve been calling that ‘liking’ in applying that because you’re pointing out things that you have in common, but really, there’s probably a mix there of maybe some liking things, but also some deeper shared identity stuff. Brian Clark: Yeah. Apple’s so brilliant at that. The ‘Crazy Ones’ ad was so subversively identity-based. It’s basically, “You use a Mac, you’re exceptional like these people,” which some could dismiss as fluff. No, that’s about as core as you can get to. Like you said, they extrapolated on that with the Mac and PC, which was brutally funny, but it’s true. There’s two different types of people. It’s Apple people and everyone else. Roger Dooley: Yeah. It’s worked for them for years, and we’ll see if they’re able to keep doing that. I think that really exemplifies use of that seventh principle and how they turn it into a really remarkably powerful marketing tool. Brian Clark: Absolutely. So Cialdini’s new book is called Pre-Suasion. Is that in essence about unity, or does it go beyond that? Roger Dooley: No, no. Actually unity doesn’t appear until rather late in the book. Brian Clark: Oh. Wow. Okay. Roger Dooley: It’s kind of a surprise. It’s sort of buried near the end. The whole concept of pre-suasion is that there’s a time element to the persuasion process. For instance, one of Cialdini’s principles is reciprocation. If I do a favor for you, Brian, without any expectation in return, and then I ask you for something, you’re much more likely to respond in a positive way than if I had not done that initial favor. What pre-suasion does is add a time element. In that moment, it was just a moment of weakness and he said, “Yes, I’ll do that” — even though he knew that this was going to totally screw up his book plans because this was a totally new class for him. He didn’t have a curriculum for it. It was a graduate business class where you’ve got some super bright, super competitive students, but he said yes. When he re-examined his behavior, he realized that timing was a key element. It wasn’t just pure reciprocity or reciprocation, but in that moment, he was pre-suaded, to use his term, to say yes, where, had the dean called back the next day, he probably would’ve said no — or had he called before, he would’ve almost certainly have said no. But in that moment, he was primed. This theme carries throughout, where what happens immediately before the persuasion attempt has an effect on the results. He had an interesting example of the use of social proof and how it can be changed by what happened just before that. Subjects were shown either a romantic movie or a scary movie. Then different groups were shown ads to promote museum attendance. The folks who saw a scary the movie responded very well to a social proof ad that said, “Over one million visitors come here every year,” something along those lines. Interestingly enough, the same kind of people who had seen the romantic movie were not affected by the social proof ad. Instead, they were affected more by “Be different. Come to our museum.” It was purely a priming effect. The mood that they were in at that moment, had you asked that question a day later, probably would not have had a difference between the two groups at all. Brian Clark: In essence, it’s context and understanding people well enough to know which context is appropriate for which message. Roger Dooley: Right, and also just understanding that what happens immediately before has a big impact. He had another great example in the book of a website — since I’m sure we’ve got a bunch of digital marketers in our audience here. This website tested two background designs. It was a furniture website that could sell on different premises — comfort, price, and so on. Overall, the website had been struggling because their buyers seemed to be very price-oriented, and that put pressure on both marketing and sales. What they found was that with a background of clouds behind the messaging on their home page or the landing page, the buyers were more likely to emphasize comfort as the most important factor in their decision, and they were more likely to make a purchase. The visitors who saw a coin background ended up being very price-oriented. That followed, pretty obviously, I guess. But this little priming effect, in most cases, people were not even aware of the background. It was more or less a subliminal effect, but it did affect their subsequent behavior. And there’s a lot of priming research. One other comment that I’ve seen about the book, and I agree with it, is that a lot of the priming research that’s been done — Ciadini doesn’t talk a lot about the word ‘priming’ in there — but a lot of it plays right into this. Some of the work that showed, if I expose you to, say, currency symbols in a very indirect way — like you’re sitting in a waiting room, and maybe there’s a screen saver on a computer or there’s a picture on the wall — you will end up behaving in a more selfish manner when you go into the next room. Or even, one interesting test showed that people sat 40 percent farther apart when they were primed with a currency symbol versus a neutral symbol, like, say, fish or something. Brian Clark: Okay. I know what I’m reading tonight. This is right up my alley. It confirms some things you know, but again, it gives you a more heightened emphasis, I guess, on it’s not just these particular triggers of influence. It’s also everything about the framing of the message and the context in which it’s delivered, which is fascinating. We will link up all of these books, including Brainfluence, in the show notes. Like I said, I think they’re all required reading. Let’s talk a little bit about podcasting. We mentioned it earlier. I’m obviously doing lot more podcasting. I actually do want to get back to writing more and just strike a balance, but you’ve really gone all in lately on podcasting. What’s your strategy? The podcast is also called Brainfluence, which makes sense. Roger Dooley: Right. You know, Brian, I think that the primary driver is that I enjoy talking to interesting and smart people, and as a result, this gives me an excuse to do that on the average of about once a week. I consume a lot of books because many of the folks have either a new book or they’ve written a book that it can be the basis for discussion, so I’m really learning a lot. I’m not sure that Bob Cialdini would just take my call and say, “Hey, want to hang out for half an hour on the phone?” He’d probably say, “Well, gee, I’ve got some other things to do, Roger. Maybe next month.” But when there’s a formal structure, that can happen. I don’t know what the long-term future is. It seems like there is an explosion of podcasts, and certainly, people who are in demand are going to have to be very selective about who they talk to because they simply couldn’t accept all the invitations they’re getting. Nevertheless, I think it’s a lot of fun. I’ve learned a lot from it. I’ve talked to some really interesting people. The only downside is it does take work to do. Certain aspects I’ve got outsourced, but still, just doing the preparation work so that you can carry on an intelligent conversation, that needs to be done. I know there’s a podcasting strategy some folks use, which is basically saying, “Well, no, I prefer not to read the guest’s book because, this way, it’ll be a conversation between us. The guest can explain it to me as if I really were just somebody who wasn’t too familiar with it and so on.” I think that’s an okay approach, but sometimes when you really have read the book and have taken some notes, you can dig deeper into stuff and hopefully get some stuff out for your audience — as opposed to the canned answers that you get if you’re just doing, “So what’s the book about?” kind of thing. Brian Clark: Yeah, that’s true. Generally, I have read the book, but there’s been two occasions, including this one, where I’m just talking to a smart person and asking the questions I would ask before I read a book. To me, it’s almost like you’re persuading me, but the audience gets to come along for the ride. I can see both sides of it, but being ill-prepared and letting it turn into basically a press release is not cool. Roger Dooley: Yeah. I think that it also is a skill that can be developed. A good podcast host can take those interview skills without having necessarily done amazingly in-depth preparation and still get some great information out of a guest. 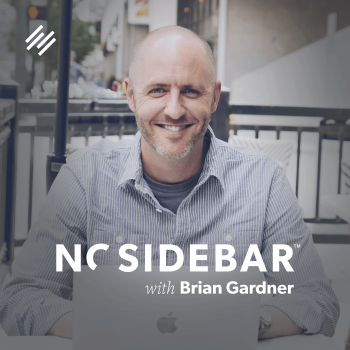 Brian Clark: What’s up next? Roger Dooley: Well, I’m working on a new book. Actually, I have it in sort of an intermediate. A few months ago, I released a little ebook called The Persuasion Slide, which was a framework for the persuasion process to help people think about exactly what we’ve been talking about, where you want to get in your features, your benefits, and those hard facts about your product, but you also want to get in the emotional and non-conscious triggers, and also to incorporate the fact that there’s a conscious and non-conscious component to almost every step in the persuasion process. There’s a scientist at Stanford, B.J. Fogg, who developed something called the Fogg Behavior Model that basically says to change somebody’s behavior, you need a trigger, you need to motivate them, and they have to have the ability to do it. That was partially the basis for my slide model, and as part of a slide model, what Fogg calls ‘ability,’ I call ‘friction’ on the slide. If you’ve ever seen a kid get stuck halfway down the slide because it was rusty or something, that’s friction. My book topic that I’m working on is an extract from that. It’s going to be about friction. Brian Clark: Slippery slide — that’s from Advertising Secrets of the Written Word. That’s my favorite opening copywriting book, even these days. You’ve got to think about the context differently these days, but it still works. Roger Dooley: Yeah, he used it a little bit differently than I did because I try to incorporate both the conscious and non-conscious pieces and the motivation side in the friction side, and so on. Nevertheless, there’s no such thing as a new idea, I don’t think, as we’re talking about a lot of these theories of the brain and how our minds work all the way back to Aristotle. Brian Clark: I like friction because you understand that you’ve got to keep them going without hesitation, and yet that’s exactly the mistake people make with their copy — whether it be an explainer video, an audio presentation, or a written page of copy. People get in their own way, and that’s the friction. They’re not taking into account, necessarily, the perspective of the person they’re supposed to be serving, which is Marketing 101, but we always come back to it. Roger Dooley: Yeah, and again, there’s conscious and non-conscious components, too. When you get to the form at the checkout on an e-commerce site, it’s got 25 fields, and they aren’t pre-filled for you or anything. That’s obviously a very conscious high friction. You take one look at that and say, “Well, heck. I’m just going to go to Amazon and buy it with one click. Forget this,” but there’s also non-conscious friction that is perceived difficulty. I know we’ve talked about this stuff in the past, where using a more difficult-to-read font that’s perfectly legible — it’s not like the reader really has to work at it to read it — but just that slightly more difficult-to-read font increases the perception of effort required to perform the action that you’re talking about. The minor cognitive load from the less fluent typeface translates into your brain subconsciously thinking that, “Oh, what they’re asking me to do is going to take longer and be more difficult.” To me, that’s something that a lot of people don’t get. Friction seems like a pretty obvious concept. I was heading for a really expensive mastermind-type conference a year or so ago, and I was talking to their host, he wanted to tape a five-minute video or something in advance, and was asked what I wanted to talk about. I said, “Well, let’s talk about friction.” He was like, “No, everybody knows about friction. Let’s give them something they don’t know about.” But to me, people think they know about it, but they really don’t. I think that other domains … look at Uber. People didn’t think about taxi friction because that was what taxis were, right? If you didn’t want to take a bus, you took a taxi, and it was what it was until they showed, “Wow, hey, you can eliminate 90 percent of the friction in this process with a well-designed app.” Anyway, that’s my friction speech. Brian Clark: Yeah. I think the lesson here is you’re not marketing to the writer. You’re marketing to the elephant. That’s a much harder proposition. I think I’m going to have to put together a reading list of this stuff. You really do have to understand these fundamentals of human persuasion at such a level in order to then marry that with what you know about your audience. A lot of times, it’s just a lack of understanding about your audience in the first place. Roger Dooley: Right. The trick is to winnow down all the possibilities. There are way more than six or seven principles. There are dozens and dozens of little cognitive biases and psychology hacks and whatnot that you could incorporate, but obviously, you can’t incorporate all of those things. In fact, there is some research that shows that you can definitely do too much. If you incorporate social proof and authority, and some other one or two principles that all are fine and proven to work, you can actually decrease the conversion rate on a website or an app. Brian Clark: Yeah, absolutely. Roger, thanks so much for taking the time. This has been a great conversation. Roger Dooley: Yeah, it’s been great to catch up, Brian. Thank you. Brian Clark: Yeah. I hope to see you soon, and all of you out there, look for that reading list. I’ve been thinking about this for a while and just hadn’t gotten around to it, but there’s at least 10 to 15 books that ought to be required reading for all of us. I’ll put that together. Look for that. Thanks for listening, and keep going.